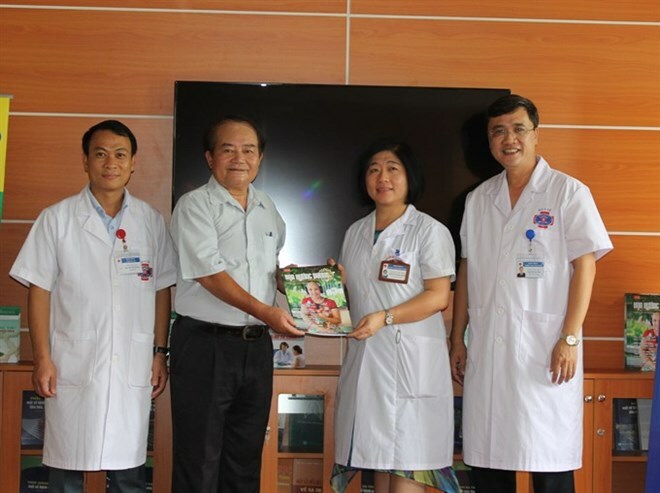 Hanoi (VNA) – The Vietnam Medical Association and Cancer Patients Assistance Fund “For a Brighter Future” and the Cancer Research Institute put up 50 bookshelves in Hanoi-based K Hospital on August 9. They have been installed in the main lobbies of clinical departments and waiting rooms of medical examination departments in three K Hospital branches. The association will provide books and other literature about cancer on a weekly basis. The aim is to encourage patients and their relatives to read about cancer research and treatment. Every bookshelf will have books, magazines, newspapers and brochures on cancer. People can read them for free and return them to the shelves after reading.